Homeopathy Education Series – What can it do for me? 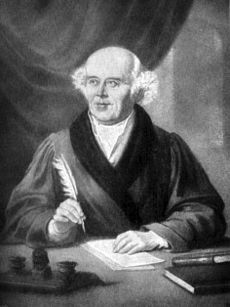 The word “homeopathy” was coined by Dr. Samuel Hahnemann. It combines the Greek “homeos”, meaning “similar”, and “pathos”, meaning “suffering”. In essence, to practice homeopathy means to treat an illness with something that produces a similar effect in a healthy individual. Homeopathy was invented, eleborated into a body of knowledge, fine tuned, and practised by medical doctors who were disenchanted by the state of conventional medicine 200 years ago. By the end of the twentieth century approximately 25% of practicing physicians in the United States were professed homeopaths. In the first half of this century due to complex social forces homeopathy has become largely unknown until the most modern renewed interests in natural medicine. Many well known people have been its ardent supporters, including Mark Twain, John D. Rockefeller, Mahatma Gandhi, the members of the British Royal Family and the Queen, who consults a homeopath as her personal physician. In France over 6,000 physicians currently actively practice homeopathy and most of the pharmacies carry at least a few hundred remedies. Homeopathy is also popular and easily accessible in Germany, Switzerland and Italy. Greece houses one of the most prestigious homeopathic clinics in the world. 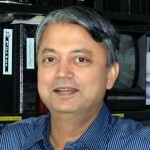 In India there are over 70,000 practitioners of homeopathy. In Mexico, Brazil, and Argentina there are renowned homeopathic medical facilities. Homeopathy views disease as a compensated outcome of the body’s healing power. Symptoms represent not just a response, but the best response to a given stress, based on the organism’s present capabilities. Symptoms, however uncomfortable they may be, are an expression of the organism’s effort to heal itself. But in disease this process gets ‘stuck’. With the right homeopathic stimulus, this can be ‘unstuck’ and the healing process will be expedited to reach its’ goal of complete balance.